"The obituary of the Ames Safety Envelope Company was written in February 2010. [...] Most of the equipment was sold at auction, and the factory went dark. [...] The descendants of Ames’ founder considered selling the property, but weren’t sure they could find a buyer. And they fretted over filling the 290,000-square-foot complex with tenants. 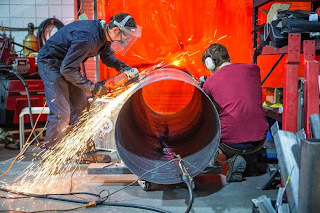 “I thought it was an almost impossible task,” says Arthur Fitzgerald, grandson of the company’s founder, John W. Fitzgerald. Skip ahead four years: The final chunk of space in the Ames complex was leased this month. 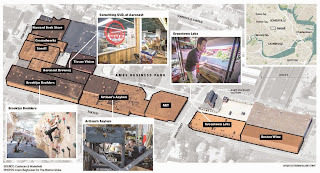 And what is now known as the Ames Business Park is not only fully occupied, it also has become the entrepreneurial epicenter of Somerville, home to a brewery, dozens of start-ups, [etc.] It’s a more diverse blend of people and ideas than you’d find in Kendall Square -- in part because rent is cheaper -- and it’s more densely-packed than Boston’s Innovation District. [...] Now, the question for Somerville is how to encourage similar “innovation villages” to spring up. What happened at the Ames complex was a rare confluence of empty industrial space, entities eager to fill it, and a light touch when it came to planning and marketing. [...] Ames, says [Somerville] Mayor Curtatone, “has really had an impact on our thinking as policy-makers about how to preserve such spaces, to allow for more startups and ideas to flourish in Somerville, and to grow that new economy in our city.” Magic can be hard to replicate -- but it’s worth trying." "There is a whole range of solutions for safer intersections, but for an urban area like this one -- with relatively narrow streets and a lot of traffic -- this design -- with protected cycleways all around the intersection -- is really best." 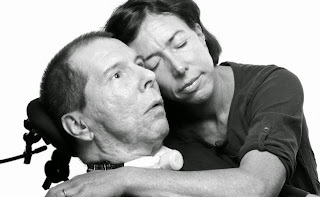 "Hal Finney, the renowned cryptographer, coder, and bitcoin pioneer, died Thursday morning at the age of 58 after five years battling ALS. He will be remembered for a remarkable career that included working as the number-two developer on the groundbreaking encryption software PGP in the early 1990s, creating one of the first “remailers” that presaged the anonymity software Tor, and -- more than a decade later -- becoming one of the first programmers to work on bitcoin’s open source code; in 2009, he received the very first bitcoin transaction from Satoshi Nakamoto. Now Finney has become an early adopter of a far more science fictional technology: human cryopreservation, the process of freezing human bodies so that they can be revived decades or even centuries later." [...] Fran Finney says that her husband had no illusions about the certainty of his resurrection. 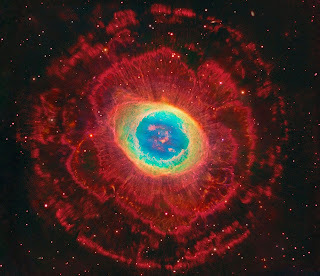 But until his final moments, he put his faith in the progress of technology. “He never said to me, ‘I will come back.’ But he told me, ‘I hope to be back.’"
"College Bound focuses its attention on those considered unlikely to succeed. 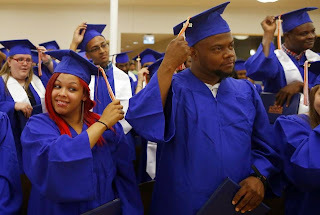 They seek out dropouts, gang members, inmates, and others with setbacks in their past and aggressively push them toward college. [...] The paths taken by the students to reach Wednesday’s graduation ceremony are filled with heartbreak and hard choices. [Says rising graduate Sanjoana Fernandes-Centieo] “I am so proud about myself because I struggled so hard,” she said. “It’s not the end, it’s just one step to continue my education." This is epic and I salute the graduates as well as their supporters! OMOTE -- cool but creepy projection-mapped face makeup! "We present a method for converting first-person videos, for example, captured with a helmet camera during activities such as rock climbing or bicycling, into hyperlapse videos: time-lapse videos with a smoothly moving camera." "Each OwnPhone is custom made to fit the wearer’s ear perfectly. People order the customised phones using a smartphone app. Images of a person’s ear are then turned into 3D-printed models. Colours, styles and materials in individual OwnPhones can be personalised." 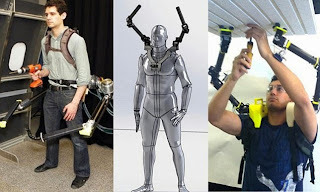 "Robotic arms that lift heavy objects, grab things out of the wearer's reach and can be used to hold objects steady. [...] There were built at the institute's d'Arbeloff Laboratory by Federico Parietti and Baldin Llorens-Bonilla, both in the Mechanical Engineering Department. The extra limbs created by MIT weigh around 10lbs (9kg) so they can be strapped onto the shoulders or hips, but can still lift heavy objects. While they may not use mind control, they can learn from the way a person’s body moves." 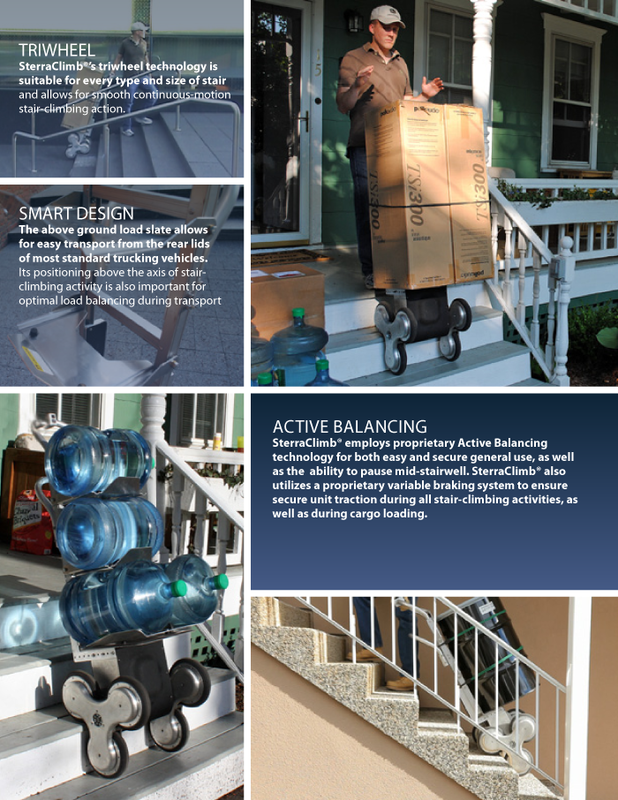 "A Princeton-based Robotics company that has Invented the World’s First Robotic Stair-Climbing Transporter that Solves the Problem of Transporting Heavy Goods Up and Down Stairs." Here's a video of founder Steven Kamara speaking about the inspiration and market opportunities. And video of usage cases. "The busiest bicycle street in the world has changed! Now the Knippelsbro Bridge boasts 40,700 riders per day! And speaking of bridges, Copenhagen is building SIX new bike/ped only bridges to help its citizens get around easier. Last month another cool bridge debuted -- the Cykelslangen "Cycle Snake" or "The Snake". You'll see lots of footage as we travelled back and forth over it. It is truly a work of beauty and the riding is incredibly smooth. Even going uphill seems pretty easy! You'll see lots of other things that will make you happy (or angry your city isn't doing it!) Including waste baskets angled for cyclists, LED lights that indicate whether riders have to speed up to catch the green wave, and a cool treatment for cobblestone streets that helps make biking easier." 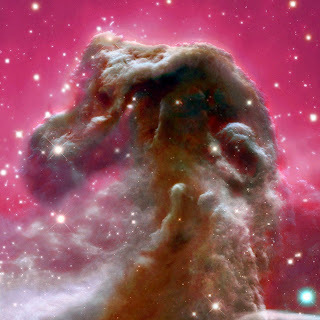 Lovely NASA APOD image of Horsehead Nebula!